Handshake is the Career Development Center’s new recruiting and career services platform for Barry University students and alumni. Log in with your Barry username and password to have the best career resources at your fingertips. TestMasters will be facilitating a free LSAT workshop on Tuesday, Feb. 27 to provide students with information and tips before taking the exam. The workshop will be held from 4-6 p.m. at the Lehman Building in Room 102. All Barry students and alumni are welcome! Come celebrate your upcoming graduation with us! You’ve worked hard and stuck with it, and now you’re on the verge of the biggest accomplishment of your life! Embrace this moment, celebrate your achievements and share your success with others. The Career Development Center invites all graduating students to the “Bucs with a Plan Senior Celebration,” which will take place in Andreas 112 on Feb. 28 from 3-6 p.m. Students can stop by anytime to take fun graduation pictures, pick up a free Bucs with a Plan T-shirt and enjoy refreshments, music, and fun interactive activities — all while leaving their legacy to future Bucs. Career counselors will be present to discuss any career concerns students might have, and to help those students who don’t have a plan to come up with one. The Office of Student Affairs will be in attendance to kick off the graduation season and answer any graduation-related questions. Time: Wednesday, Feb. 28 | 3-6 p.m.
Life after college can be scary, but our experts can help! Sponsored by the Office of Alumni Relations in collaboration with the Career Development Center. Join us for the largest networking event of the year: Networking with the Pros. All Barry students and alumni are invited to attend this exciting event featuring several recruiters and networking facilitators from a variety of industries. Come dressed in professional attire and have a complimentary headshot taken. Register by March 12. Representatives from public and private companies, government agencies, and the sports industry will attend the career fair to recruit Barry University students for a variety of positions, including internships and part time and full time employment. Time: Thursday, March 22 | 4-6 p.m. The event is only open to Barry University students and alumni. All majors are welcome. Dress Code: Business attire is required for check in. 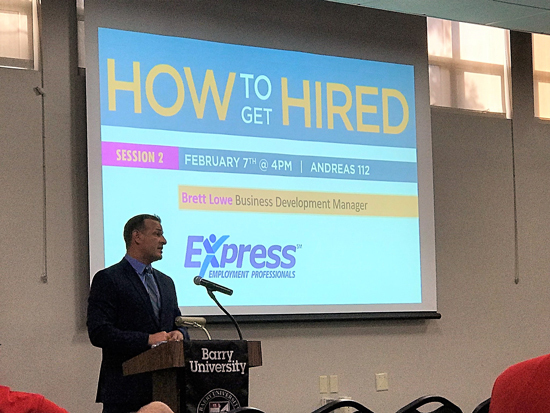 In the month of February, the Career Development Center launched a new program: How to Get Hired, a series of seminars conducted by recruiters and HR professionals from staffing/recruiting companies, as well as corporate HR professionals who want to share with our students the secrets to getting hired in today’s market. There were three sessions, and each session featured a different expert from the recruiting and HR field. Over 100 students took advantage of the program and learned job-search strategies from professionals who spend their days recruiting, interviewing and hiring employees for their companies. Laila Kassam, talent acquisition manager at Chrysalis Health, has over 15 years of experience in recruiting, screening and interviewing job candidates in the fields of social work, counseling, health, business, sales and management. 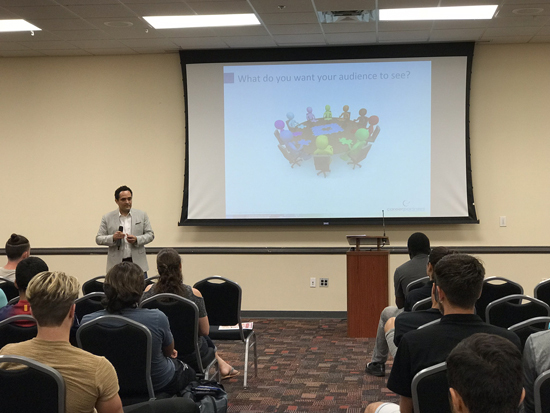 Kassam shared experiences about what successful job candidates do to get hired and what unsuccessful candidates do that prevent them from getting hired. Mr. Brett Lowe is the Business Development Manager with Express Employment Professionals. Express Employment Professionals is a $3 billion company focused on providing employment solutions, including evaluation hire, temporary staffing, professional search and human resources for businesses around the globe. Brett shared his insight of what employers expect of a job candidate and pulled back the curtain on the actual hiring process. Andres Lopez is a two-time Barry alumnus (’01 BS Sport Management and ’08 MS Human Resource Development) and four-year letterman with the Barry University soccer team. Lopez is currently a recruitment consultant with Performance Search Group, an executive search firm based in Austin, Texas. He talked about his experiences transitioning from being a student athlete at Barry to recruiting and screening job candidates. Barry University planned a schedule of activities on the main campus for children of Barry staff and faculty members in observance of National Take Our Daughters and Sons to Work Day on Feb. 2. In accordance with the theme for this year, “Positive Agents of Change,” the Department of Human Resources offered a session to assist students in formulating some ideas about future career paths. Kimberly Timpone, career counselor, represented the Career Development Center at the event. Timpone conducted activities to help children identify what they want to be when they grow up and facilitated a discussion about interests and career options. Kimberly Timpone participated in the MLK Day of Service to honor Dr. King’s legacy through service. Timpone helped the effort to beautify community areas by raking and removing litter and leaves from planters, gathering and disposing of old mulch and replacing with fresh mulch, and sweeping walkways and removing debris at Gratigny Elementary School. Kimberly Timpone partnered with Apple Inc. for a professional and career development program organized by AMI Kids on Jan. 8. Timpone led a workshop where she assisted students with identifying transferable skills from their past experience, demonstrated how to use Pages (word processing software) to create a resume, and provided guidance regarding employer expectations during the interview process. CDC staff members worked together with the orientation team at several events to help students get oriented to Barry University and to educate new students on the functions of the Career Development Center. Community Connections Fair: The CDC team manned a table at the vender fair to inform students about our services. 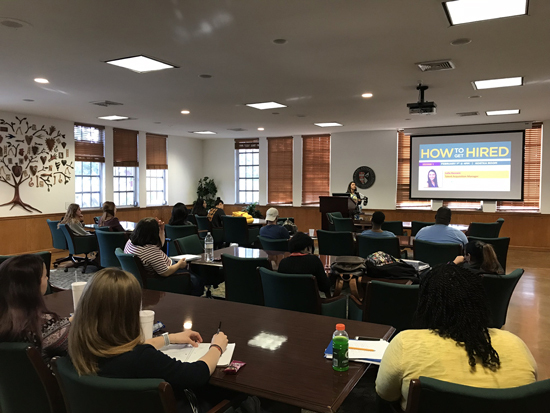 Career Connections: Kimberly Timpone and Shaunie Wall Marshall introduced the CDC’s new job search and career management system, Handshake, to students and demonstrated how to look for a job using the tool. Campus Resources Panel: Shaunie Wall Marshall participated in a panel to inform students about the CDC, its events and services. On Jan. 24, Csilla Aglaure-Szekelyhidi held an information Session for Service Year Alliance. Service Year Alliance is working to make a year of paid, full time service — a service year — a common expectation and opportunity for all young Americans. They provide unprecedented and comprehensive support to the service year sector, encompassing recruitment and marketing, organizational growth and learning, service year corps member support, a tech-enabled marketplace — ServiceYear.org — to match organizations and young people, and policy and advocacy. 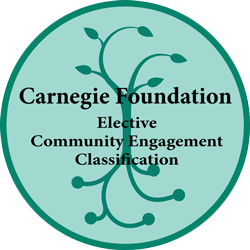 The Career Development Center recently started partnerships with the Knight Foundation. The foundation supports ideas that promote quality journalism, advance media innovation, engage communities and foster the arts. The Knight Foundation has two intern positions available in Miami. One in art, which will have the intern onboarding at the same time the arts team will be launching at least two major initiatives. The first is the Knight Arts Challenge in Detroit. The second will be the launch of a new program in Miami focused on the commissioning of new works in the performing arts (dance, music, and theater). The other internship is in human resources, which will give the intern exposure to philanthropy and work on a range of projects related to compensation, compliance, recruiting, onboarding/orientation and training. Interested students should visit: https://www.knightfoundation.org/careers/summer-2018-internships. 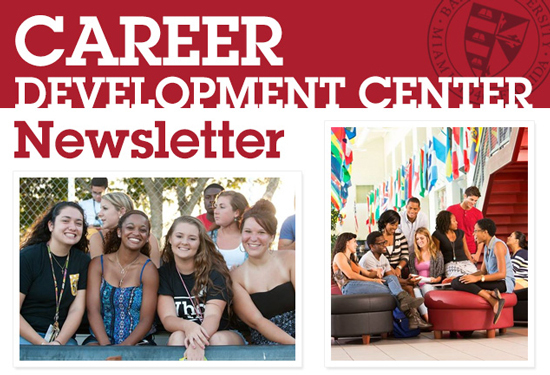 Handshake, the Career Development Center’s electronic job database, is widely used by employers who are interested in recruiting Barry University students. #1317918 Customer Service Representatives at AT&T in Sunrise, Fla.
Research on employer expectations indicates that pre-graduation experiences such as internships are greatly appreciated by hiring managers. 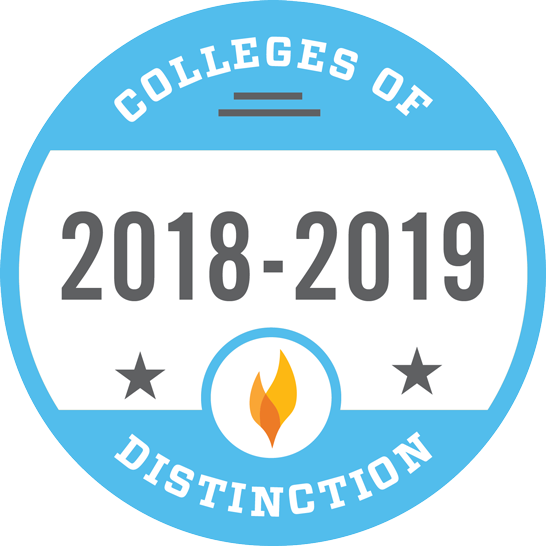 CDC recognizes the importance of career related experience during college, and strives to promote and facilitate internships for students. Step 5: Go to “Job” tab and start exploring full-time and part-time jobs as well as internships.